What are you doing in this forum?! Do you think it's because I disabled Samsung apps from updating? 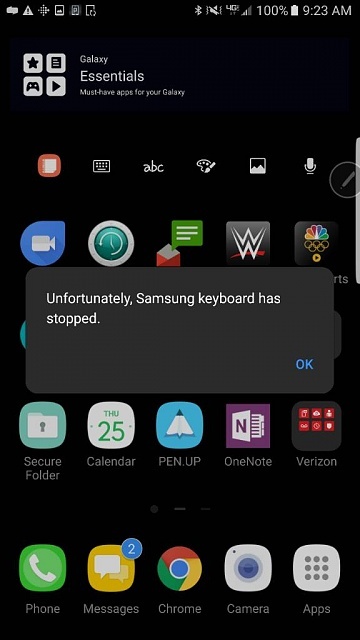 Samsung keyboard works fine on everything else. I called Samsung and they recommended a hard reset..... This is ridiculous!!! My Samsung tablet is connected to the Internet,but when I try and use the Internet it doesn't work. Why my microSD goes off after some times I put the mobile on ? why my INEW V8 mobile asking privacy protection passwork to unlock it after i change the simcard? Apps saved on the SD card don't show after Kitkat update.